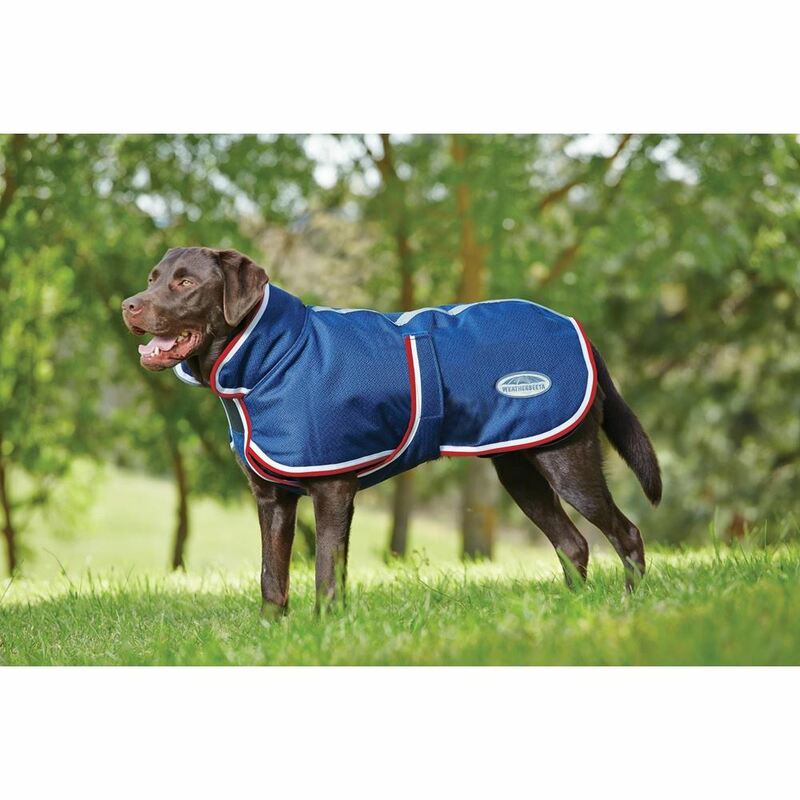 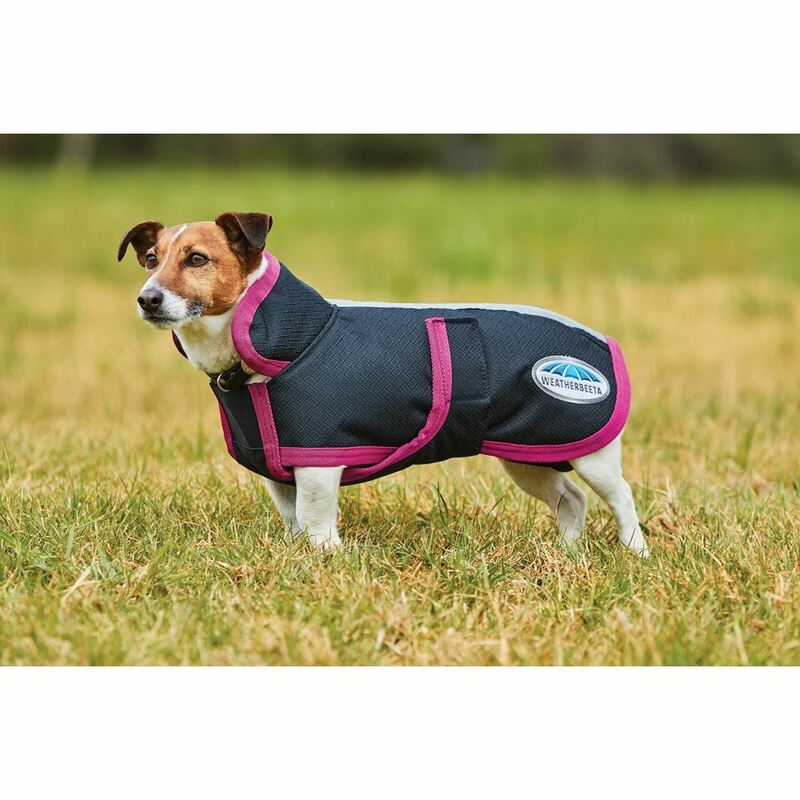 The Weatherbeeta Parka with Belly Wrap 1200D Medium Dog Rug is a durable, waterproof and breathable 600d outer with a strong 210T lining and a warm 220g of polyfill with full wrap belly closure. 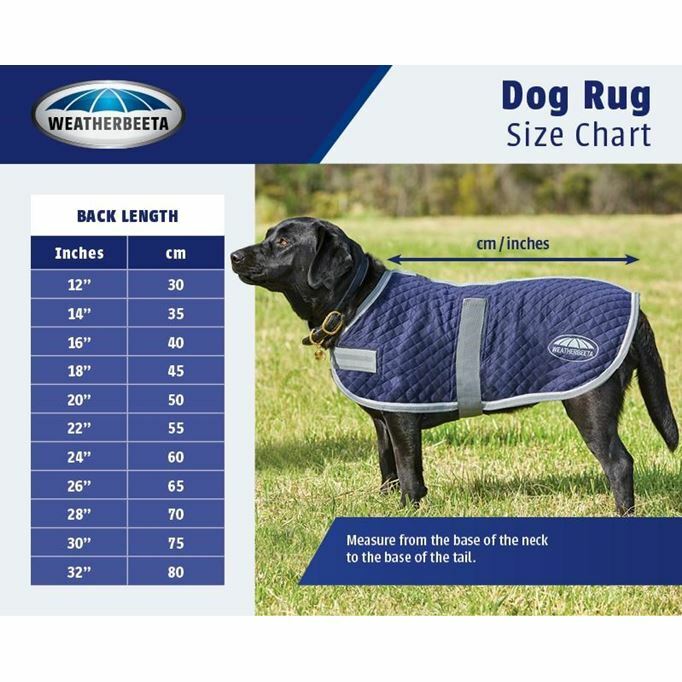 This dog rug is a must for any dog owner looking for a really warm, comfortable dog coat that is every bit as tough as the rugs they put on their horses! The Weatherbeeta Parka with Belly Wrap 1200D Medium Dog Rug features elastic leg straps, large collar with leash hole and reflective stripes for added safety for your dog at night or early morning.